Just another quick post to share with you my card for this month's PaperTrey Ink Blog Hop. 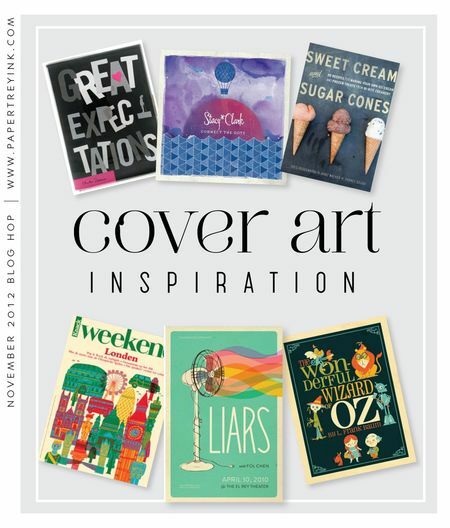 This month, we were to use cover art as our inspiration. When you think about it, people who design book covers are graphic artists, so why not use their designs as a starting point sometimes. Nichole provided some suggestions and I am sure you can tell which one I chose. I used papers from the For The Record 2 collection by Lori Whitlock. I just love the happy look of this combination of papers. 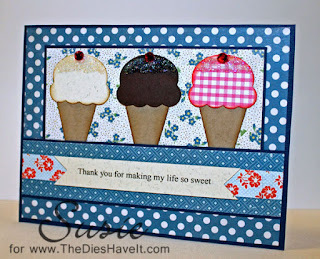 For my ice cream cones I used dies from PaperTrey Ink. Fun fun FUN! That's it for today. I'll be back tomorrow with a brand new project. Yum, love those cute ice cream cones. What a sweet card -- love your dot mixture! Love how you used the ice cream cones, fabulous. Can't go wrong with ice cream cones. What a great sentiment banner! Who doesn't love ice cream? Pat K.
What a yummy card. And, such fun, too. 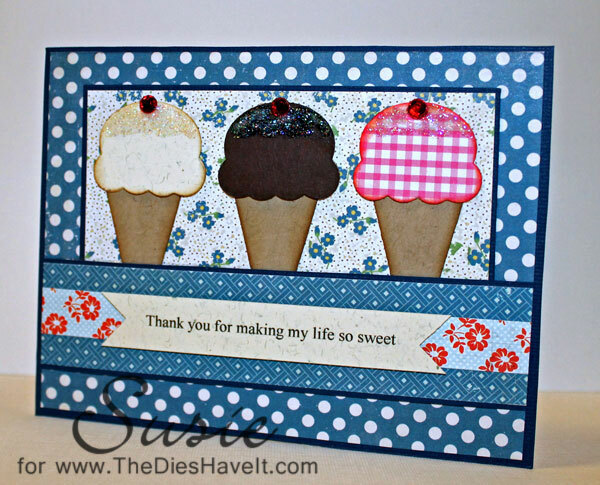 Love your sweet ice cream card ! I almost went with the same one. The cones look so good. Now I want one!!! Homespun sweetness for sure! Love those patterned cones and how they are tucked in behind the sentiment panel. The papers and layout are wonderful! Love your ice cream cones - the sprinkles on top are perfect! I love your yummy choice~it's perfect! I LOVE your choice of book covers, Susie! LOL! Your cones look SO real and inviting. Yummo! !